The i-Genius offers virtual reality training to your workouts, and as its name suggests, the i-Genius multiplayer allows you to compete against others on virtual reality courses. This turbo trainer uses sophisticated software that transmits real-time signals to the resistance unit of the trainer, which means that when you climb a hill the resistance will automatically and accurately increase. 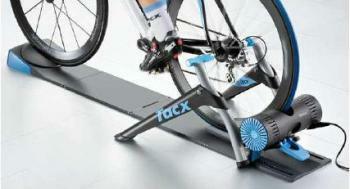 The i-Genius uses the Tacx Trainer software 4, Advanced, and offers visually stunning virtual courses for you to race on. As well as increased uphill resistance, the i-Genius actually drives the back wheel on descents, offering even more realism to your ride. 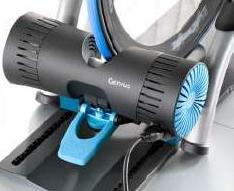 There are many great features to this top end turbo trainer, and it even generates power as you ride that feeds electricity back into the grid. 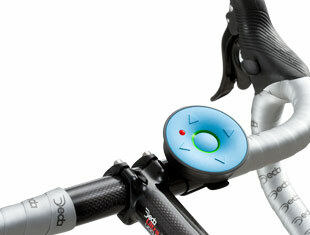 As part of the package the i-Genius comes with a Black Track steering frame (ANT+), a handlebar interface (ANT+), wireless communication with the brake system and the handlebar interface, and a computer (ANT+) dongle, and sensorless cadence and balance measurements. You also get the Tacx Trainer software 4, Advanced, which has the multiplayer features, and comes with 4 virtual reality courses, 2 criterium races (short races), and velodrome races. The video below shows off all virtual reality and interactive features of the Tacx software Advanced that comes as standard with the i-Genius and i-Genius Multiplayer trainers.